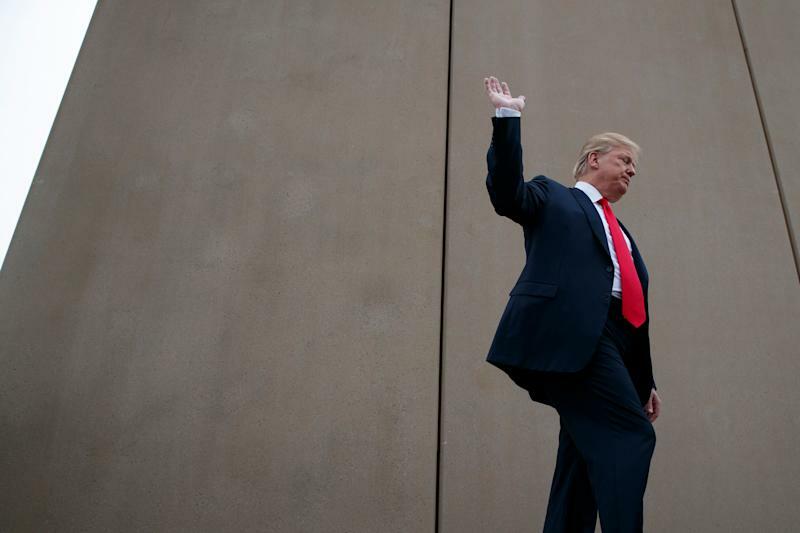 The battle over the wall — and the associated 35-day partial government shutdown — was partly an effort to tighten immigration policy. And a new study from WalletHub shows how limiting migration would hurt some states even more than others. But at the same time, the Trump administration acknowledges that the U.S. wants to encourage talented and highly skilled immigrants to migrate by improving visa policies. Looking at immigrants as a whole, WalletHub’s report analyzed 20 indicators in four areas — specific indicators include the proportion of immigrants to the entire workforce, their income levels, and the number of Fortune 500 CEOs that are immigrants — and revealed how big the dependence is on foreign workers for several states on the coasts. California’s immigrant population contributes the most to its state, followed by New York and New Jersey. Immigration in California is two-fold, with both high-skilled immigrants heading to tech hubs like Silicon Valley and low-skilled workers holding up industries like agriculture. 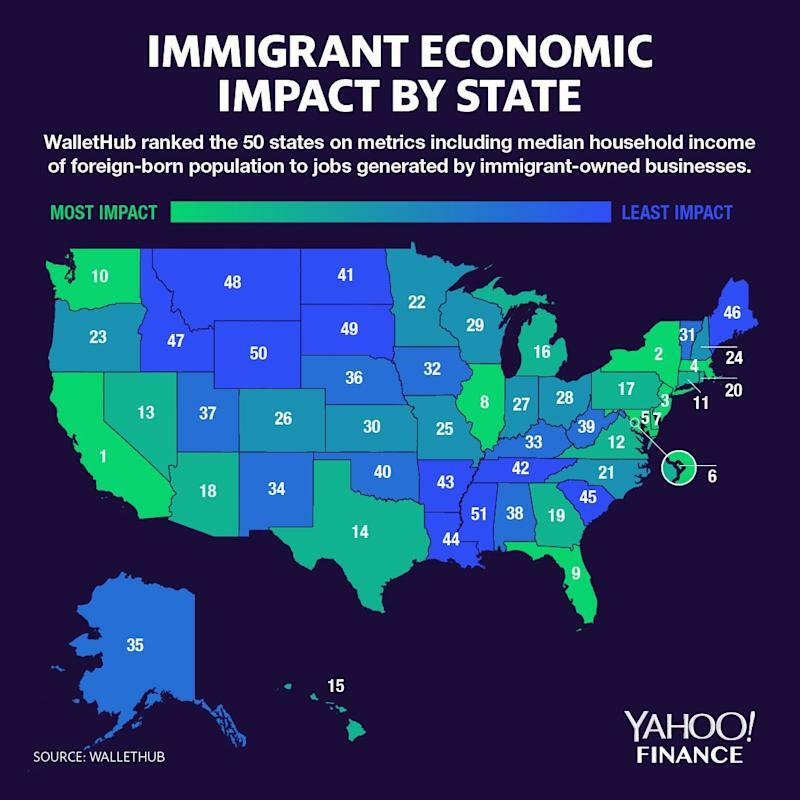 With high-skilled workers in particular, California beat out New York because “California has more work visas and H1-B visas per capita than New York does,” WalletHub’s analyst Jill Gonzalez told Yahoo Finance. Gonzalez also pointed out that in California, 8.6 percent of jobs are generated by immigrant owned businesses — compared to 5.5 percent in New York. California also ranked the highest in socio-economic contribution where the income generated, taxes paid, homes owned, and businesses built were in sum the highest overall in the country. Senator Kamala Harris (D-CA) recently described Trump’s wall project as a “medieval vanity project” that will not stop transnational gangs. House Speaker Nancy Pelosi had previously said that the wall was "immoral, ineffective and expensive." Her resistance to Trump had then led to the longest government shutdown in history — spreading its effects from 800,000 federal workers to choking air traffic at major airports on the East Coast. Lost productivity from the standoff is likely to cost the U.S. at least $6 billion and as much as $26 billion, according to estimates. Follow Yahoo Finance on Twitter, Facebook, Instagram, Flipboard, LinkedIn and reddit.